“Researchers at UCSF Benioff Children’s Hospitals are using next-generation genomic technology to develop targeted therapies for high-grade pediatric glioma. “In a phase II study reported in the Journal of Clinical Oncology, Grill et al found that the addition of bevacizumab (Avastin) to radiotherapy plus temozolomide (RT + TMZ) did not improve event-free survival in pediatric patients with newly diagnosed high-grade glioma. “Scientists have found that deadly childhood brain tumours are actually 10 different diseases that should each be diagnosed and treated based on their specific genetic faults. “The major new study has important implications for treatment, since personalising care for each type of brain tumour is likely to be much more effective than grouping them all together as one. “An international team of researchers has found a drug previously approved to treat breast cancer could also be used to shrink medulloblastoma, a common form of childhood brain tumour. “Researchers at Johns Hopkins University are conducting the first clinical trials to evaluate the potential of a pinworm medication for the treatment of children and adults with newly diagnosed glioblastoma. “Mebendazole has been used for more than 40 years to treat parasitic infections. Los Altos, California – January 25, 2017 – Cancer Commons, a nonprofit network of physicians, scientists and patients dedicated to helping each patient achieve the best possible outcome, announces the launch of a new program to identify personalized treatment options for children with brain cancer. 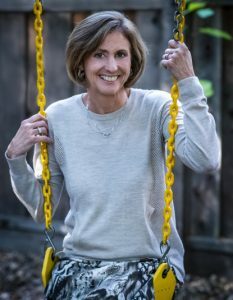 The program is funded by a generous lead gift from Sheri Sobrato Brisson, a pediatric brain tumor survivor and advocate for children with serious illness, and her husband Eric Brisson.